DPRK Premier and State Affairs Commission Vice Chairman Pak Pong Ju discusses construction at Pyongyang Pharmaceutical Factory. Also in attendance, 3rd right, is DPRK Vice Premier and State Affairs Commission Chairman Ro Tu Chol (Photo: Rodong Sinmun). 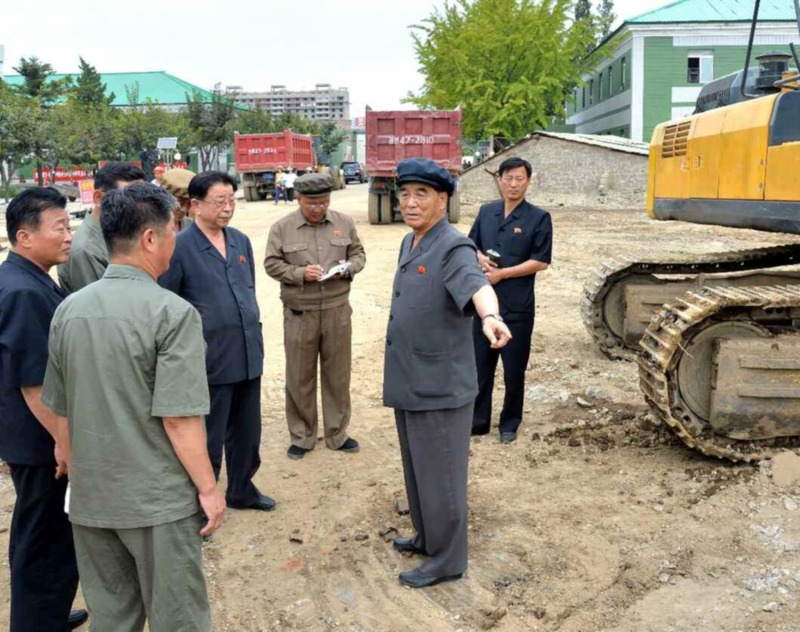 DPRK state media reported on September 15 (Saturday) that State Affairs Commission Vice Chairman and Premier Pak Pong Ju (Pak Pong-chu) visited and inspected several locales under construction or renovation in and around Pyongyang. 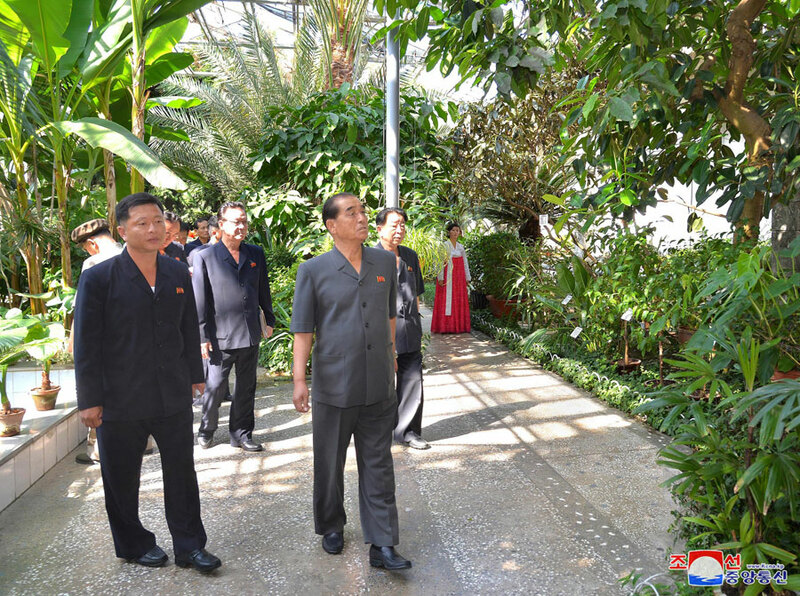 DPRK Premier Pak Pong Ju visits the Central Botanical Gardens in Pyongyang (Photo: KCNA). 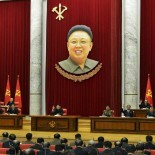 This article was written on 16 Sep 2018, and is filled under Capital City Construction Commission, capital construction, Central Committee, Central Military Committee, critical infrastructure, DPRK Cabinet, DPRK education system, DPRK External Relations, DPRK Premier, Economic Complexes, Executive Policy Bureau, Five Year Economic Plan and Development Strategy (2016), General Affairs, General Bureau for Central Guidance, Guard Command, hospitals and health care, Korean Workers' Party (KWP), KPA construction battalions, KPA construction brigades, KPA supernumerary organizations, local people's committees, Ministry of Capital Construction, Ministry of Construction and Building Materials Industry, Ministry of Culture, Ministry of Education, Ministry of Food and Procurement, Ministry of Foodstuffs and Daily Necessities, Ministry of Labor, Ministry of Public Health, Ministry of State Construction Control, National Economic Development Commission, Pak Pong Ju, Political Bureau, primary party committees, Provinicial People's Committee, Public Information Commission, Pyongyang City People's Committee, Ro Tu Chol, State Affairs Commission, State Planning Commission (SPC).